Egypt Shrine's Fun N' Frolic clown Dash found his true self in 2012 and has been enjoying the funny business ever since. 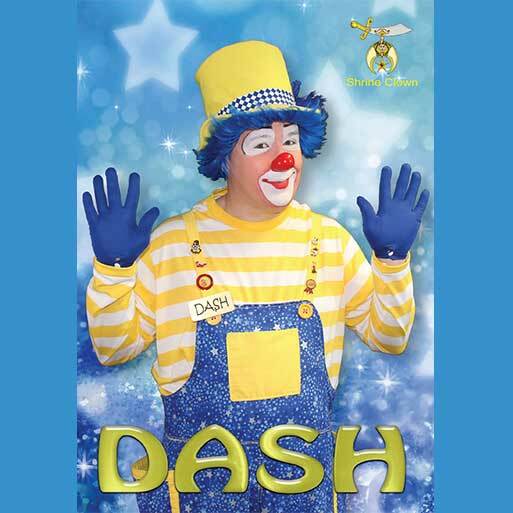 When asked how I came up with the name Dash I like to say my name represents all of the fun times between the year you're born and the year you pass, and reminds me to enjoy those times as much as possible! I became a clown because it gives us the opportunity to truly make a difference in the lives of the children we support as Shriners. I love to see people smile and there's no better reward than to know you've brightened someone's day and made them happy. When the clown face goes on the world is a brighter more exciting place and what more could one ask for?